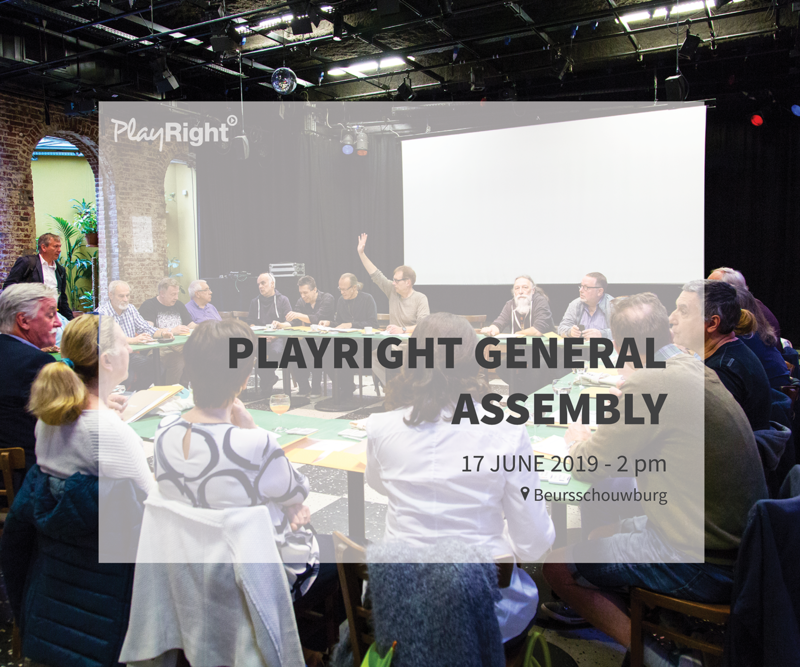 The PlayRight Board is the decision-making body of our collecting society, made up of actors/actresses and musicians, which guides and supervises the activities of the company. The performing artists who sit on the Board are in the best position to decide on the strategic orientations of PlayRight, the priority projects and the distribution rules to be established. Such an application is essential and allows to maintain a lasting bond between the artistic sector and your management company. A Dutch speaking actress /actor. Since French and Dutch are the national languages, we ask you to send us your application in one of these two languages. Please note that the General Assembly is held in both languages. Get involved in YOUR collecting society and apply for the mandate that corresponds most to your main artistic activity. Applications must be submitted no later than Friday, May 3rd. Your application will then be communicated to the shareholders, after which each one of them will be asked to elect the candidate of their choice during the General Assembly that will take place on MONDAY, JUNE 17th. Additional Info: In due time you will receive your official invitation to the General Assembly (both in French and Dutch) and will have access to the online tool to confirm your presence. Meanwhile, note the date MONDAY, JUNE 17 in your calendar. Please also note that the General Assembly will be followed by an event and a drink, to which you are warmly invited.